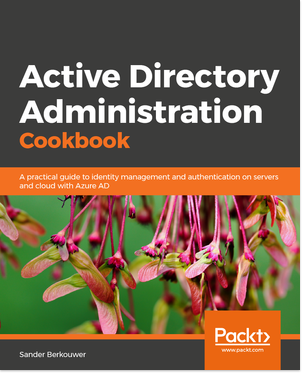 Every good Active Directory Domain Services implementation started with sizing Domain Controllers appropriately for the environment in which they needed to be able to service clients for a period of four to five years. Although adsizer.exe feels quite antiquated, you can still install it on the most recent versions of Windows and Windows Server. Last week, the Active Directory team introduced new information on sizing Domain Controllers for an Active Directory environment, titled Capacity Planning for Active Directory Domain Services. This information is not published in the form of a new adsizer.exe or a Microsoft Excel document (as the Exchange guys seem to prefer), but instead as an online resource, accessible without any required download. I’m excited with this new information, since capacity planning guidance for scale-up systems in general has changed dramatically in the last years.. Changes in system architectures, such as the change from 32-bit to 64-bit server platforms, virtualization versus non-virtualized scenarios, attention to power consumption, the industry moving from spindle-based to SSD storage, and cloud scenarios have challenged fundamental assumptions about designing and scaling a service. The new information, thus, contains pointers to size virtualized Domain Controllers, to analyze the impact of multiple cores and hyper threading and to determine required iops to choose between normal spindle-based disks and SSDs. When sizing Windows Server 2012-based Domain Controllers, use the information on TechNet to perform capacity planning for Active Directory Domain Services.